The influenza virus is airborne and extremely contagious, even for people who are of strong health. The number of cases this year has already been so large that it’s almost impossible to avoid exposure to the flu. Untreated flu can easily go on to become pneumonia, which in turn can be fatal if untreated. Flu can also cause ear infections and dehydration, which can lead to other complications. It’s a myth that the flu vaccine makes people contract the flu where they would not have gotten it otherwise. The microorganisms that cause illnesses are migrating due to climate change and the result may expand the matrix of health issues that make people susceptible to contracting the flu. It’s never too late to get a vaccine — it will protect you against strains you haven’t yet come into contact with. Flu season is actually a year-round phenomenon, although the busiest month for outbreaks is usually February, according to the U.S. Centers for Disease Control. Just because you got a vaccine in a prior year doesn’t mean you are covered for the current flu season — in fact, you probably aren’t. If you get a vaccine for the current flu season, you won’t necessarily be protected from whatever strains might come out in future flu seasons. The best time to get vaccinated for next year’s flu season is the beginning of October. 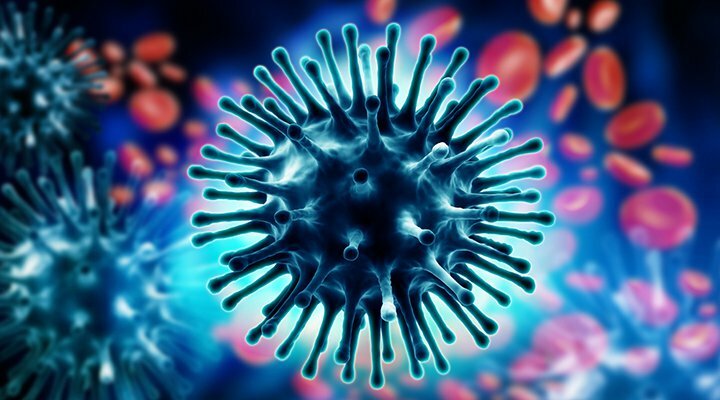 Influenza virus strains continue to evolve and the pace of new mutations appearing is increasing. Although prescription flu medications do an outstanding job of beating the flu into submission, you need to start taking the medicine within the first 48 hours of symptoms showing up to receive any benefit from the medication. Once you get the flu, all a flu medication can do for you is shave a day or two off the amount of time you have the flu and rein in the risk of complications for people at risk of having them. For those who do fall into the risk groups, this year’s flu is bad enough to require hospitalization and some have died from the flu. You might be in a risk group for complications for flu complications and not even know it yet — the list of categories is longer than you might realize. According to the U.S. Centers for Disease Control, just about every long-term medical condition you can think of puts you at risk for getting complications from flu. Anything that might weaken your immune system puts you at risk, including having recently had a major illness of any kind. If you take mass transit, odds are pretty good you are going to come into contact with someone who is carrying the influenza virus (and it might be on any surface you touch or air you breathe as a result). Each time you are exposed to a new strain of flu, you are at risk of getting sick again. A growing number of providers are offering free flu vaccines — even to people who lack insurance coverage. Even if your first choice of provider has run out of vaccine supplies, pharmacy chains still have plenty in stock. The time it takes you to go get the vaccine is a fraction of the amount of time you’ll lose if you don’t get vaccinated and wind up coming down with the flu and having to be in bed with it. If you do get the flu, this year’s symptoms include difficulty concentrating, body aches, congestion and fever, all of which will keep you from doing all of the things you would rather be doing. The vaccine injection is barely noticeable as far as injections go, whereas the test to see whether you already have the flu is a rather uncomfortable swab up the nose. © 2012 to 9180 Critical Financial. All rights reserved.